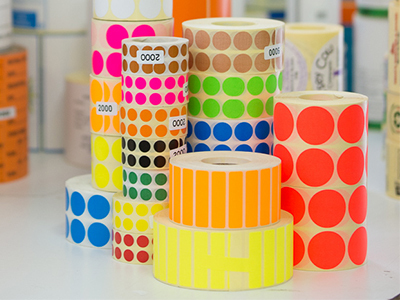 ROTOCOR cc t/a Label Mate is a bulk sticker and labels Printing company, we have a proud history. 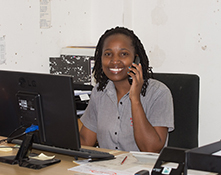 The business has been built around service and meeting clients' needs. The business is run by Terry Noakes. 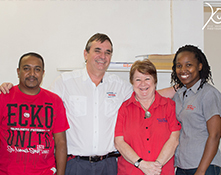 The business was first starts as ROTOCOR over 20 years ago as a sole proprietorship by Mike Nicholls. Over the years many agencies in the areas of Labels, Printing, Packaging, Safety Wear and Allied Products have been established. ROTOCOR registered as a close corporation in 1996. 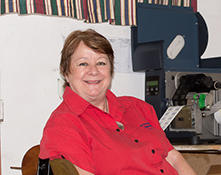 Many customers have been with ROTOCOR since its inception. 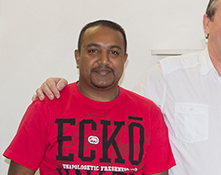 Mike Nicholls started his career as a printer at the Eastern Herald in Port Elizabeth and has worked in the Labels, Printing and Packaging fields ever since. He has a wealth of technical, sales and marketing experience. 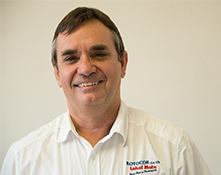 Terry Noakes joined ROTOCOR cc in 2004 and has experience in administration, finance, sales and marketing, having worked in various industries: banking, wholesale, manufacture, paper and print. Mike is father in law to Terry, Terry is married to Mike's only daughter, a true partnership and family business came into existence with an excellent combination of complimentary experience and skills. In 2005 Mike and Terry formed the partnership Label Mate which was a natural area of growth to fulfil their clients' needs. 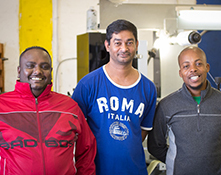 Label Mate's primary focus was to manufacture labels, flexographic and thermal transfer. ROTOCOR cc and Label Mate complemented each other and were run concurrently. In 2011 ROTOCOR cc and Label Mate were combined into one entity as most customers were clients of both businesses and ROTOCOR cc t/a Label Mate was formed. In late 2011 Mike retired but is still involved as an advisor and his input is invaluable. ROTOCOR cc t/a Label Mate service manufacturing, retail and wholesale businesses in various industries ranging from chemicals, food, clothing, pharmaceutical, etc. The service has been geared primarily to medium sized business, but also service and offer exceptional service to small and large business. Meet Label Mates Amazing Team!